What is 798 Art Zone? Located in Dashanzi District, Jiuxian Bridge, Chaoyang District, Beijing, 798 Art Zone covers an area of 60 hectares with the core area covering an area of 30 hectares. It is home to numerous cultural and artistic institutions such as galleries, design studios, art exhibition spaces, artist studios, boutiques, restaurants and bars. 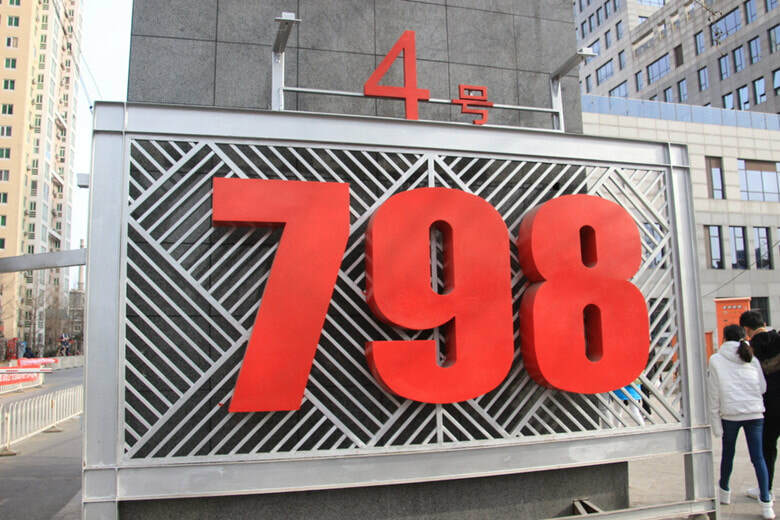 Many important international art exhibitions, art events and fashion events are regularly held at 798 Art Zone, which attracts tourists at home and abroad. By the end of 2012, there were more than 500 cultural institutions, including galleries, individual studios of artists, animation, film and television media, publishing, design consulting institutions, etc. ​Among them, there are many overseas organizations from more than 25 countries and regions, such as France, Italy, Britain, the Netherlands, Belgium, Germany, Japan, Australia, and South Korea. The popular shops at 798 Art Zone are as follows. Centennial Impression Photography Gallery (百年印象摄影画廊) - Various types of pictures are on display, such as traditional and avant-garde ones. 798 Art Factory - It’s aimed to rent space to press conferences and clothing conferences, as well as the installations-themed exhibitions. The roof here is uniquely zigzag curved. Ebeecake - The creative Ebeecake is welcomed and sought after by white-collar women for its exquisite shape, pure taste and healthy concept. Beijing Tokyo Art Project - The first gallery at 798 Art Zone. It is mainly based on contemporary art. Sichuan Cuisine No. 6 (川菜6号) - It offers the authentic Sichuan food. The chefs all come from Sichuan. AT CAFE - The cafe offers the original style of the workshop. Xiyuan Yaji Gallery - It focuses on the traditional Chinese paintings. Exclamation Mark Art Space - It is the first gallery that promoted the gallery of Chinese contemporary ink paintings. The best time to visit 798 Art Zone is in the morning. You could visit it around all the year. There is no direct bus passing by 798 Art Zone. Therefore, there are only a few options. Rent a vehicle to 798 Art Zone. This is the quickest and most direct option. Interested in visiting the 798 Art Zone on a Tour? Wendy Wei Tours offers a variety of different packaged tours as well as custom tours including the 798 Art Zone, among other attractions and destinations. To find out more, please visit our Tours page or Contact Us directly to find out more.